The World Ends with You[a] is an action role-playing game with urban fantasy elements developed by Square Enix and Jupiter for the Nintendo DS. Set in the modern-day Shibuya shopping district of Tokyo, The World Ends with You features a distinctive art style inspired by Shibuya and its youth culture. Development was inspired by elements of Square Enix’s previous game, Kingdom Hearts: Chain of Memories. It was released in Japan in July 2007, and in PAL regions and North America in April 2008. Later, an enhanced port to accommodate the game for mobile devices ported by h.a.n.d. was released in 2012, while an enhanced port for the Nintendo Switch was released worldwide in 2018 under the title The World Ends with You: Final Remix. In the game, Neku Sakuraba and his allies are forced to participate in a game that will determine their fate. The battle system uses many of the unique features of the Nintendo DS, including combat that takes place on both screens, and attacks performed by certain motions on the touchscreen or by shouting into the microphone. Elements of Japanese youth culture, such as fashion, food, and cell phones, are key aspects of the missions. The World Ends with You received positive reviews, praising the graphics, soundtrack, and integration of gameplay into the Shibuya setting. The few common complaints were related to the steep learning curve of the battle system as well as the imprecise touch-screen controls. In the week of its release, the game was the second best-selling DS title in Japan, and the top selling DS title in North America. Shiro Amano, writer and artist of the Kingdom Hearts manga, later created a manga based on the video game. 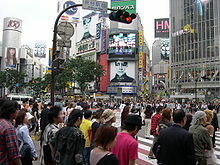 The game takes place in a fictional version of the Shibuya shopping district in Tokyo, Japan. While everyday life goes on in the Realground (RG), the chosen dead are brought to an alternate plane of existence called the Underground (UG). The UG is also the venue for the Reapers' Game. By offering their most treasured possession to enter the Game, the dead gain the chance to contest for the prize: to be brought back to life or to transcend to a higher form of spiritual existence. Most of those who choose to transcend become Reapers, the opponents of players in future Games. Lasting a week, each Game is a contest to judge the worth of humanity. Players set out to accomplish objectives under the rules created by the Composer, who is a god-like entity who maintains Shibuya. Another Reaper, the Conductor, tasks other Reapers to obstruct the players' efforts. Failure to complete a mission will disperse the mind and spirit of the player or Reaper, thus erasing his or her existence. A player in the UG is invisible to the living in the RG, though one can sometimes read and influence their thoughts. The UG is frequented by creatures called "Noise", which are attracted by the negative feelings of the living. To progress in the Reapers' Game, players are often required to defeat Noise by killing or "erasing" them. However, each Noise exists in two parallel universes (or "zones") simultaneously, and can only be defeated by two players simultaneously fighting and defeating the Noise from these separate zones. In order to do this, Players are required to form a pact with another Player to survive the Noise. Players receive assignments via text messages sent to their cell phones, and their right hands are imprinted with a countdown indicating the time left in the mission. After a day's mission is complete, the remaining players find themselves at the start of the next day's mission, having no sense of the time that has passed in between. The player assumes the role of Neku Sakuraba (桜庭 音操, Sakuraba Neku, ネク Neku), an asocial teenage boy who claims he does not "get" people, and rarely interacts with others. Computer-controlled characters make up the rest of the cast, which includes Players who are paired with Neku. In the first Game, Neku is paired with Shiki Misaki (美咲 四季, Misaki Shiki, シキ Shiki), a teenage girl who takes on the form of her best friend, as her physical appearance was her price of entry for the Game. In the second Game, Neku's partner is an intelligent and sly teenage boy, Yoshiya Kiryu (桐生 義弥, Kiryū Yoshiya), who prefers to be called Joshua (ヨシュア, Yoshua). Neku's final partner is Daisukenojo Bito (尾藤 大輔之丞, Bitō Daisukenojō), an ex-Reaper who calls himself "Beat" (ビイト, Biito). Beat became a Reaper to find a way to bring his younger sister, Raimu Bito (尾藤 来夢, Bitō Raimu) (nicknamed "Rhyme" (ライム, Raimu)), back to life. Rhyme had sacrificed herself to save her brother from a Noise attack. Sanae Hanekoma (羽狛 早苗, Hanekoma Sanae, ハネコマ Hanekoma), the Producer, bound her soul to a pin from which her Noise could be summoned, and gave it to Beat. The final Game Master, Mitsuki Konishi (虚西 充妃, Konishi Mitsuki, コニシ Konishi), crushes her Noise form and transformed it back into a pin. Besides the Composer and the Conductor, there are other high-ranking Reapers. For each week of the Game, Game Masters are assigned by the Conductor to lead the opposition to the Players. Of the Game Masters opposing Neku, Sho Minamimoto (南師 猩, Minamimoto Shō, ミナミモト Minamimoto) is the most dangerous. He willingly circumvents the rules in an attempt to supplant the Composer. Participating in the Games with the aim of earning promotions for their performance, the Reapers' goal is to ascend to the highest form of spiritual existence, the Angels. Angels supervise the Games and if the stakes of a Game are particularly high, they send down one of their own to serve as the Producer. For the three weeks of the game's story, Sanae Hanekoma is the Producer. Disguised as a Shibuya cafe owner, he guides new players and narrates the "Secret Reports" that are obtained by completing additional missions after completing the game. The game's story follows Neku over the course of the three weeks that he plays the Game, paired with partners Shiki, Joshua, and Beat for each week, respectively. Neku is confused at first, lacking knowledge of how he died or how he arrived at the UG. As he develops friendships with his partners, he starts to understand the rules of the Game. After the first week, only Shiki is allowed to return to the living, and she promises to meet Neku at the statue of Hachiko. He also recovers his entry fee, which was his memories, except for the events leading up to his death. However, Shiki has become what Neku values most, and she is used as his new entry fee for the second week; in addition, Beat defects to the Reapers hoping to find a way to revive Rhyme after she sacrifices herself to save him. During the second week Neku recalls small details of his death; eventually, he recognizes that he was shot at by Sho Minamimoto, one of the Reapers he faced during the Game. At the end of the second week, Joshua seemingly sacrifices himself to save Neku from an explosion created by Minamimoto. However, because Joshua was never actually dead, the Game is nullified and Neku is forced to play the game a third time. His entry fee this time is all of the other players, meaning Neku cannot form any pacts and stands no chance against the Noise. However, Beat immediately defects from the Reapers and rejoins Neku. Neku and Beat find that the Reapers and the entire population of Shibuya are wearing special red pins that brainwash them into thinking the same harmonious thoughts. Without any missions to complete, the two venture to the fabled "Shibuya River", which Joshua was looking for during the second week. At the river, they find Megumi Kitaniji (北虹 寵, Kitaniji Megumi, キタニジ Kitaniji), the Game's Conductor. Kitaniji explains that he created the red pins in an attempt to remake Shibuya, which the Composer challenged him to do. If he fails, both he (as his price for losing the Game) and Shibuya will be erased. At that moment, Joshua reappears and reveals himself to be the Composer. Joshua returns the missing part of Neku's memory of death: Joshua himself shot Neku, choosing him to be his proxy in his challenge with Kitaniji. Minamimoto, who had been trying to usurp the position of Composer, was trying to kill Joshua in his weakened state as a human. After Kitaniji fails to defeat Neku by using his friends against him, Joshua gives Neku one last challenge: To fire upon Joshua to determine the fate of Shibuya. Neku is too conflicted to make a choice, and is shot down by Joshua. Neku finds himself once again at the scramble crossing, confused by events, but alive this time. The game's credits show scenes seven days later in the RG. As Neku walks from Udagawa to Hachiko to meet Beat, Rhyme, and Shiki, he discusses how the past three weeks have changed him for the better. In a statement directed at an absent Joshua, Neku says that although he will not forgive him for what he has done, he trusts him. Neku then asks if Joshua will be present at Hachiko as well. Secret reports that can be obtained by completing additional missions after beating the game reveal that Joshua, after seeing the change in personality of Neku over the weeks of playing the game, decides to spare Shibuya, now believing the city to be ideal. The game ends with Neku abandoning his headphones, before a title card appears entitled "The World Begins with You". The Final Remix version of the game adds new storyline content taking place after the main game. Neku and Beat awaken in a geographically distorted alternate version of Shibuya, and are assigned a mission to escape Shibuya within 24 hours. Accompanied by a Reaper named Coco Atarashi, the two begin to make their way through the alternate Shibuya while encountering Shiki and Rhyme along the way. As they progress, Neku has visions of a city being destroyed and a strange girl with Shiki's stuffed animal, as well as what seem to be distorted flashbacks of his own death and Rhyme's sacrifice. When Rhyme sacrifices herself to save Beat in a manner identical to Neku's vision, Neku realizes that he is having visions of the future. Neku and Beat arrive at Mr. Hanekoma's cafe, and he reveals that the Shibuya they have been traversing is one giant Noise created by Coco. Neku and Beat defeat the Noise and return to reality. An enraged Coco shoots Neku dead, but is driven off by Joshua. Joshua meets with Mr. Hanekoma to discuss recent events; they reveal that Shinjuku has been erased and Noise are starting to appear in the RG, and that the strange girl from Neku's visions was a survivor of the incident who they theorize caused Neku's visions and was helping him along. Elsewhere, Coco plots to continue using Neku for her plans and resurrects Minamimoto to serve as his partner. The World Ends with You is an action role-playing game, arranged into three chapters based on the three weeks that Neku is involved in the Reaper's Game, with each chapter further divided by each day of the week. The player controls Neku and his partner as they explore Shibuya to complete each day's mission. Although most missions require completion within a certain time for Neku and his partner, this timer is not correlated to the passage of time for the player. Shibuya is divided into several districts, some of which may be inaccessible on certain days or blocked by a wall that can only be removed by satisfying the request of a nearby Reaper, such as erasing Noise symbols, putting on a certain brand of clothing, or bringing an item. Neku can scan the area by activating a special pin. This scan reveals the thoughts of the non-player characters in the Realground and memes, which may help to progress the plot. The scan also reveals random Noise symbols that drift about the area, or in some cases, float around a specific character. The player initiates a battle by touching Noise symbols; each symbol constitutes one round of battle. Selecting more than one Noise symbol at a time results in a multi-round battle (referred to in-game as multiple noise "reductions") that gradually increases in difficulty with each round, but conversely leads to greater rewards upon success. Altering the difficulty of the Noise and the amount of health for Neku and his partner also alter the benefits conferred. Each district has fashion trends that affect gameplay. By wearing pins or clothing from the more popular brands in that district, items' effects will be improved; wearing the least fashionable items will do the opposite, and items from brands in between are not affected. However, the player can increase a brand's popularity in one district by repeatedly fighting battles in that district while wearing items of that brand. The player can enter shops to buy new pins, clothes, and food items that are gradually consumed during battles to improve the characters' basic attributes. After completing the game, the player can return to any day in the story and play those events again, keeping the characters' current statistics and inventory. "Secret Reports", written segments that reveal background elements of the story, can be unlocked through this mode by completing specific missions during each day. Completing the game allows the player to access "Another Day" from the game's menus, an additional day of missions that explains certain events related to the main storyline. The World Ends with You has one minigame called Tin Pin Slammer (or Marble Slash) that can be played against computer opponents or with up to 3 others via a wireless connection. Tin Pin Slammer is similar to the marble game ringer in that each player attempts to use their pins one at a time to knock the other players' pins off the gameboard. The World Ends with You features "psych pins", decorative pins which possess powers that only Neku can activate while wearing them. Psych pins are used for combat, for "Tin Pin Slammer/Marble Slash", or as trade value for money or equipment. Most pins, particularly those used in combat, can become more powerful as the player accumulates "Pin Points" (PP) which can also lead to evolution of the pins into more potent versions. Pin Points are commonly earned through battle, but can also be earned through a period of inactivity with the game, by interacting with other DS players or randomly if none are found. Each of these methods influences the growth of pins within the game. Neku and Shiki fighting Noise in different "zones" near the same landmark. Neku's "psych pins" are displayed on the upper left of the bottom screen, and Shiki's card system is displayed along the top and bottom of the upper screen. Their shared health bar splits across both screens on the right side. The game's combat system is called the Stride Cross Battle System. The combat takes place across both screens on the DS, with Neku on the touchscreen and his partner on the top screen, representing the different "zones" of the same local area; the two characters battle the same enemies that exist in both "zones" simultaneously. Neku and his partner are synchronized during battle; they share the same health bar so that even if one character does not take any damage, the pair can fail in battle if the other takes too much. A green "light puck" will pass between the characters during battle; by alternating battle between the character who possesses the puck, damage is increased. The movement of the light puck is determined by the "sync ratio" between Neku and his partner; the puck stays longer with the character with higher ratios. The player can equip Neku and his partner with clothing that can alter the light puck's speed. The light puck also has the ability to magnify Neku and his partner's attacks as long as when they hold the puck, they are not attacked by an enemy and can continue this in a volley. The player controls Neku by performing touchscreen actions based on the currently equipped pins. These actions may include slashing across an enemy, tapping the screen rapidly to fire bullets, holding down on an enemy to inflict damage or shouting into the microphone to cause a full screen attack. Other pins need to be touched to activate them, such as for health restoration. Each pin has a limited number of uses before it must recharge for a certain time. Other pins may only be used a fixed number of times during a series of battles, and do not recharge until the battle sequence is over. Neku can only be equipped with a maximum of two pins at the game's start; this can eventually be upgraded to a maximum of six. Neku's partner on the top screen can be controlled by the player using the face buttons, although players can use options to have the computer assist them. Each of Neku's partners has a card game-based mechanic; for example, Shiki's card game requires the player to match face-down Zener cards. The partner can make a basic attack after the player navigates through a pathway of arrows to select one of several shown cards using the directional pad or face buttons. By navigating to a card that fits within the card game rules, the player earns a star. Once enough stars are collected, the player can launch a powerful "Fusion" attack using both Neku and his partner through the "Harmonizer Pin" that appears on the upper right of the touchscreen (assuming that the player has not rearranged where it's displayed). The player can also help the partner character dodge attacks. In the game's releases on single screen systems (mobile and Switch), the Battle System has been modified to reflect the lack of a second screen. The current partner instead acts as a separate pin among Neku's other pins, which the player can call in to perform attacks by similar touchscreen actions like tapping on an enemy or slashing down on one. The player must balance the use of the partner pin with Neku's own attacks, going to their partner repeatedly to build up towards the Fusion attack. The Fusion attack is launched by tapping the partner pin on screen; the player then has a limited period to complete card-based minigames to build up a damage multiplier. For example with Shiki as their partner, the player is shown one Zener card, along with a number of other Zener cards that are shown face-up for a moment before being turned over. The player must select those face-down cards that were matches for the shown Zener card. The Switch version further offers a co-operative mode, where a second player, using a Joy-Con, has control over the partner character and a limited set of pin attacks during battle. The World Ends with You was developed by the same team that created the Kingdom Hearts series, with input from Jupiter, the company that developed Kingdom Hearts: Chain of Memories. The development of the game started two and a half years before its Japanese release, during the development of Kingdom Hearts II and the end of development of Kingdom Hearts: Chain of Memories. At that time, Nintendo had announced the DS, but it was not yet on the market; Square Enix asked the team to make a game specifically for the handheld system. The creative team—consisting of Tatsuya Kando (director), Tomohiro Hasegawa (co-director), Takeshi Arakawa (planning director), and Tetsuya Nomura (character design)—were able to experience the DS during the "Touch DS" event in November 2004. From this demonstration, they had envisioned a version of Chain of Memories in which the card game aspects would be present on the bottom screen and an action role-playing game on the top. As they continued to work on the game, the developers realized that they wanted to use the touchscreen more, to make "a game that can only be played on the DS". However, they also encountered the problem that by focusing heavily on the touchscreen, the top screen would be ignored. From this, the idea of the dual screen battle system arose. Several other options were explored for the top-screen game, including command-based battles or a music game, but once they reviewed the game from the eyes of the player, they ultimately settled on the card-game approach with the player having the option to control the game if they wanted to. Even with the completion of the Japanese version of the game, the team felt the dual screen system was too much for overseas audiences, and attempted to change the card-game mechanic into a special meter that would fill up with normal attacks from Neku, but this was not completed in time for release. However, the team was able to alter the "information overload" of the numerous tutorials at the start of the game in the North American release, reducing the amount of text presented as well as allowing the tutorials to be skipped. The "Active Encounter" system, the ability for the player to select when and how to go into battle, was developed specifically to avoid the issues of "grinding" that are common with most standard RPG systems. While they included the mechanics of being able to scan non-playable characters to see their thoughts, the team was not able to integrate this mechanic more into the game. Many of the game's sets are modeled after the real Shibuya. The scramble crossing near the 109 department store (far left above) is extensively featured in the game and can be seen in the background of the game's cover. In addition to creating unique gameplay, the designers wanted to build the game around a real location. Initially, they had planned to use a large number of locations across the entire world as the setting. They narrowed down the settings to specific cities due to practicality issues. Ultimately, Kando selected Shibuya as the main setting within the first year of development, despite concerns that overseas players would find the setting unfamiliar. The team wanted to make sure the city was represented accurately within the game, and went on "location hunts" onto building rooftops without permission to get photographs. The layout of Shibuya was duplicated for the game, retaining the real-world landmarks while rebranding the names of stores and buildings for copyright reasons; for example, the 109 Building was renamed to be the "104 Building", while one of the busiest Starbucks, adjacent to the scramble crossing, was renamed "Outback Cafe". The success of the game has led to fans going on tours of the district to match physical locations in Shibuya with those in the game. The selection of Shibuya led to the incorporation of much of the game's other features, including food, clothing, and cell phone usage. The team initially thought of the idea of using graffiti around Shibuya as the source of the player's power in the game but had difficulty representing it; this led to the creation of the psych pins used in the game. The team decided to stay with two-dimensional graphics instead of three-dimensional graphics, believing it would help differentiate themselves from other Square Enix titles as well as better represent their vision for the game. When first approached with the task of creating the art for the game, background art director Takayuki Ohdachi thought the modern-day setting would be too boring, and opted to use highly skewed and angular images of Shibuya to avoid this; the rest of the creative team found this approach to fit the game quite well. For combat, the background of the top screen was selected for visual interest, while the bottom touchscreen background was designed to emphasize the gameplay. Ohdachi was also responsible for the artwork for the psych pins, and used a mix of pop art and tribal designs for the various graphics. Character designs were handled by Tetsuya Nomura and Gen Kobayashi. Character designs were made to match with the real-world Tokyo setting, after which their outfits were designed based on the character's personality. Kobayashi was also in charge of designing the game's non-player characters and noted how most designs made it to the final product. Hasegawa was responsible for creating the designs for the Noise creatures, and wanted to have them recognizable as creatures before they decay into skeletons. In keeping with the theme of human emotion in the game, Hasegawa selected creatures that conveyed such feelings, such as wolves and crows. Representation of the Noise in the game required drawing the 2D sprites from several angles to match the action on screen as well as using rotoscoping on pre-rendered sprites, and took several iterations between Square Enix and Jupiter to make sure that the sprites' art matched the style of game, with Kando making the two-hour trip between Tokyo and Kyoto weekly to check on the progress. The developers knew that for the story they wanted to "throw the player right in the action, with things he had to do without explanation" in addition to creating a sense of urgency and mystery for the player. They developed an initial draft of the game's plot and gave it to script writer Sachie Hirano and scenario event planner Yukari Ishida to expand on. The returned version was very close to the initial vision for the game's story. However, there were still difficulties in filling out the story, only achieving some smooth development about halfway through the process, and even then, there were still changes made just prior to creating the master image for the game. Several inconsistencies with the game's story were found in the final quality checks that had to be resolved. The Square Enix localization team, while translating most of the dialog and interface items into English and other European languages, preserved many Japanese elements to avoid losing the culture of the game. The team was also limited by the size of the dialog balloons used within game, and took several steps to avoid losing the meaning of the story within the game. As The World Ends with You focuses on the character of Neku Sakuraba, in order to create a believable story the developers put a lot of focus on his development, such as how he would feel, what thoughts lie behind his actions, how he interacted with other characters, and how the people around him feel about him. The developers included aspects and daily concerns, hoping that they could be things that players would have to deal with their personal lives and therefore would let them relate with Neku. The Japanese title, translated as It's a Wonderful World, was not used internationally due to copyright issues. Instead, the game was released in North America and Europe under the name The World Ends with You. The game was officially announced on September 13, 2006 by Square Enix, and premiered at the 2006 Tokyo Game Show two weeks later. On December 5, 2007, Square Enix announced that the game would be released for Europe and Australia in April 2008, while a similar announcement was made for a North American release on December 17, 2007. A special "Wonderful World" edition of the "Gloss Silver" Nintendo DS Lite was created and sold as a bundle with the game as part of its Japanese release. The game's early plot was adapted into a two-chapter one-shot manga by Shiro Amano, published over two issues of Monthly Shōnen Gangan. In North America, the manga has been released online via the Square Enix Members website, along with mobile phone ring tones. Both Nomura and Tatsuya Kando stated that they hoped they would be given the opportunity to create a sequel to the game. Neku, Shiki, Joshua, Beat, and Rhyme appear in the video game Kingdom Hearts 3D: Dream Drop Distance as non-playable characters who are challenged to a task similar to the Reapers' Game. The cameos are the first non-Disney and non-Final Fantasy characters to appear in the Kingdom Hearts franchise. The soundtrack to The World Ends with You was composed and produced by Takeharu Ishimoto. The game's music encompasses many genres, combining rock, hip hop, and electronica and was designed to fit the various moods of Shibuya. The song appearing during the credits of the game is "Lullaby for You" by Japanese pop artist, Jyongri. Vocal artists featured in the game include Sawa Kato, Makiko Noda, Leah, Ayuko Tanaka, Mai Matsuda, Wakako, Hanaeryca, Cameron Strother, Andy Kinlay, Nulie Nurly, and Londell "Taz" Hicks. The developers used CRI Middleware's Kyuseishu Sound Streamer, a compression algorithm normally used for voice-overs, to compress the soundtrack and fit more songs on the game media, while replacing full motion video cutscenes with Flash-style animations to save more space. The ADX-compressed soundtrack and cutscene audio on the final version of the game take up approximately one-fourth (42 of 128 total MB) of the game media. The official soundtrack of the game, The World Ends with You Original Soundtrack (すばらしきこのせかい ORIGINAL SOUNDTRACK, Subarashiki Kono Sekai Original Soundtrack, meaning "It's a Wonderful World Original Soundtrack") was released in Japan on August 22, 2007 and is on sale in most English-language iTunes Stores. This release, however, does not include the four tracks unique to localizations outside Japan and is simply a digital version of the Japanese soundtrack. Three of the tracks, "Someday", "Calling" and "Twister", were later remixed for the 2012 Nintendo 3DS title, Kingdom Hearts 3D: Dream Drop Distance. "Calling" and "Twister" were also remixed for downloadable tracks for Theatrhythm Final Fantasy: Curtain Call. A revised soundtrack, The World Ends With You - Crossover, was released on September 20, 2012. It includes the original tracks from the DS game, remixes of "Calling", "Someday" and "Twister" from Kingdom Hearts 3D: Dream Drop Distance, and the remixes from the iOS version. Square Enix, however, released the digital 6-track EP Subarashiki Konosekai + The World Ends with You (すばらしきこのせかい + The World Ends with You, Subarashiki Kono Sekai + The World Ends with You, meaning "It's a Wonderful World + The World Ends with You") on June 25, 2008 through the Japanese iTunes Store. This release contains the four songs unique to the international version of the game, along with the English version of "Owari-Hajimari" and a remix of "Twister". A 19-track version of the album was given a physical CD and iTunes release on July 30, 2008. A port for mobile devices, entitled The World Ends with You: Solo Remix, was released on iOS on August 27, 2012, and on Android on June 26, 2014. This version of the game was developed by Square Enix's mobile development team and h.a.n.d. within the course of the year. The game's combat system was reworked to accommodate the lack of a second screen, as described in the above Gameplay section. In addition to combat changes, the Solo Remix includes redrawn high-definition sprites and is optimized for the Retina display of iOS devices. The original soundtrack and additional remixes of these songs are included. Wireless and social media features are also included: the Tin Pin Slammer can be played with other players via wireless connections, and the game can connect with the player's social media applications to display these as scanned thoughts from non-player characters within the game. The Solo Remix version features a remixed soundtrack from the original DS release. New assets at the conclusion of the iOS game hint at a possible sequel, but no confirmation has been made by Square Enix. The iOS version of the game was pulled from the iOS App Store in February 2015 due to an issue that prevented the game from working with the iOS 8 operating system launched in September 2014, though the Android version remained available. It returned to the App Store in June 2015. A port for the Nintendo Switch, entitled The World Ends with You: Final Remix, was announced in January 2018 and released on October 12, 2018. The port, based on the mobile Solo Remix version and with additional development from Square Enix and h.a.n.d., includes a new control system adapted for the Switch, specifically allowing for the use of the Joy-Con in addition to the touch-screen and optional co-op support for Neku's partner. An additional new scenario was added to this version. The World Ends with You received positive reviews and has been commercially successful. Game Informer named the game its Handheld Game of the Month award for May 2008. IGN gave The World Ends with You its Editors' Choice Award, and named it the DS Game of the Month for April. In Japan, the game premiered as the second-best selling DS title during the week of July 27, 2007. Nearly 193,000 units were sold in Japan by the end of 2007. 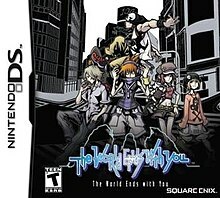 The World Ends with You sold 43,000 copies during April 2008 in North America. The first shipment of the game sold out mid-May and a second shipment was made in mid-June 2008. The game was the top-selling DS title the week of its release and again two weeks later. As of September 30, 2008, The World Ends With You has sold approximately 140,000 copies in North America and 20,000 copies in Europe. Critics praised the departure from other popular titles such as Square Enix's Final Fantasy and Kingdom Hearts series. Both the graphical presentation and the soundtrack were very well received. Reviews also commented that, initially, the character designs were too similar to previous Square Enix titles and may be off-putting to some though in the Shibuya setting they were "absolutely in their element." Some reviewers also complained that the Stride Cross Battle System was too complex for new players; Eurogamer's review felt the "sink or swim" reliance on learning the complex battle system was a significant stumbling block for the game. GamePro noted that the stylus input was imprecise, often mistaking movement and attack actions. On the other hand, the system was praised for its approach, and for the ability to alter the difficulty of the system within the game. Neku Sakuraba's character arc was praised by several reviewers, such as G4TV editor Jonathan Hunt, who praised his growth from a "mute teenager" to a "civil human". 1UP.com's review summarized that the game is much more than the sum of its parts: "By all rights, The World Ends With You should be an annoying disaster, a bundle of tired gimmicks and trite clichés. Yet somehow all the things that should be unbearable fall into place and create a game that's far more unique, interesting, and addictive than it has any right to be." The World Ends with You won several awards from IGN.com, including best Nintendo DS role-playing game, best story for a Nintendo DS game, best new IP for the DS, and the best Nintendo DS game of the year. It was also nominated for other awards, including best original score for a Nintendo DS game and best artistic design for a Nintendo DS game. It was ranked as the tenth best game of the 2000s released on a Nintendo system by Nintendo Power. The World Ends with You: Solo Remix received a score of 9.5 and an Editor's Choice from IGN, who praised the port and its additions, although criticized its price point and lack of universal compatibility (the iPhone/iPod Touch and iPad versions of the game must be purchased separately.) Kotaku also criticized the high price and lack of universal compatibility as 'indefensible', though it praised the port for its controls, saying "in many ways, it feels more suited to (the iPad) than it ever did on the DS." ^ The game is known in Japan as It's a Wonderful World (すばらしきこのせかい, Subarashiki Kono Sekai). ^ Capone, Anthony (2008-04-21). "This Week's Releases – 21/4/08". PALGN. Archived from the original on 2012-07-17. Retrieved 2008-07-21. ^ a b Square Enix, Jupiter (2008-04-22). The World Ends with You. Square Enix. Level/area: Secret Report 4 — Erased. The UG exists as a separate plane where the Composer can judge the worth of men. Within it are Reapers and human players. It is infeasible for the Composer to judge up all of humanity by himself, so a filtering system utilizing the Reapers was created: the Reapers' Game. Reapers act as a test, weeding out unfit players. ^ Square Enix, Jupiter (2008-04-22). The World Ends with You. Square Enix. Level/area: Secret Report 7 — Wakeless Dream. So, what happens to those who survive the week? Those whose Imagination is less than outstanding are broken down into Soul, while those with excellent Imagination become Reapers. The most talented of these may travel to the next plane, inhabited by Us Angels. ^ Square Enix, Jupiter (2008-04-22). The World Ends with You. Square Enix. Level/area: Secret Report 4 — Erased. Reaper or player, those erased within the Game disperse the mind and spirit housed within their flesh in the form of Soul. Thus, they are erased only from visible existence: their Soul persists in the UG until gathered and tied together according to a new code. ^ a b c d e f g h i j k l m n o Bozon, Mark (2008-04-16). "The World Ends With You". IGN. pp. 1–3. Retrieved 2008-06-19. ^ a b Jupiter. The World Ends with You. Nintendo DS. Square Enix. Shiki: I heard you can only beat the Noise in pairs. But I fought them alone. / Neku: Umm, me too... / Shiki: I couldn’t see you while I was fighting. / Reaper: That’s because he was in the other zone. / Shiki: Huh? / Reaper: The Noise exist simultaneously in two zones. And the only way to defeat them is by purging them from both. ^ Jupiter. The World Ends with You. Nintendo DS. Square Enix. Shiki: Because this is what I always dreamed of—a new me. I hated who I was. All I wanted was to like myself. To be cute, and smart, and perfect...like Eri. / Neku: ...... Then why would the Reapers take your appearance? Your entry fee is supposed to be what you value most. But you just said you hate yourself. / Shiki: At first...I didn’t get it either. I was so excited to be Eri that I even acted like her—all bubbly and cute. But it was just an act. Inside, nothing changed. I’m still the same person I’ve always been. Then I realized. I’ll never be Eri. Deep down, I never wanted to be. I was just jealous. The Reaper was right. What I value most is ME! ^ Square Enix, Jupiter (2008-04-22). The World Ends with You. Square Enix. Level/area: Secret Report 15 — Sensible, Senseless. He's partnered to Beat, now a reaper, who is himself fixated on reaching the river. ^ Square Enix, Jupiter (2008-04-22). The World Ends with You. Square Enix. Level/area: Secret Report 17 — The Composer. She has issued a single six-day mission-one that exploits Beat's greatest weakness: Rhyme. [...] Beat's greatest desire is to bring her back to life. Even if revived, though, Rhyme still lost the Game. ^ Square Enix, Jupiter (2008-04-22). The World Ends with You. Square Enix. Level/area: Secret Report 7 — Wakeless Dream. As Reapers execute the Game, they undergo a process of evolution, from grunts to officers to the Composer. ^ Square Enix, Jupiter (2008-04-22). The World Ends with You. Square Enix. Level/area: Secret Report 11 — Pinned. As I've stated, Minamimoto is suspected of a liaison with a Fallen Angel. The Fallen Angel may have chosen Minamimoto for a few reasons. First, none desired of the Composer's office more. Minamimoto's obsession was great enough to compel him to pursue the Composer into the Realground. [...] The question now is, why has Minamimoto abandoned the Game, and what is he doing? ^ Square Enix, Jupiter (2008-04-22). The World Ends with You. Square Enix. Level/area: Secret Report 7 — Wakeless Dream. Diligent Reapers, too, may pass through the office of Composer to ascend to the plane of Angels. ^ Square Enix, Jupiter (2008-04-22). The World Ends with You. Square Enix. Level/area: Secret Report 5 — Empty Urban Legends. Conversely, there exists an even higher plane than the RG and UG. That is where I am from, the plane of the Angels. As in the RG and UG, Angels have created a web of social schema to guide their activities. Their role of Producer is just one cog in the Angel machine. Angel vibes are extremely high-frequency; not even the Composer can catch them all. In actuality, he can pick up only that of the Producer. ^ Jupiter. The World Ends with You. Nintendo DS. Square Enix. Shiki: You know it. Hey, if we make it through this...let’s meet up in the RG. You, me, and Beat. You might not recognize me, so...I know! I’ll bring Mr. Mew with me. We can be a team again! ^ Jupiter. The World Ends with You. Nintendo DS. Square Enix. Shiki: Neku? See you on the other side. You know the meeting place. Hachiko! / Neku: Heh. It’s a date. ^ Jupiter. The World Ends with You. Nintendo DS. Square Enix. Kitaniji: End...Shibuya? But Composer...Sir! Why!? / Joshua: I’ve decided to wash my hands of it. It has no future value to me or anyone else. So, I’m shutting it down. ^ Jupiter. The World Ends with You. Nintendo DS. Square Enix. Kitaniji: By tearing down the differences between us, I can make the world a paradise! / Neku: By making everybody think alike? That’s not even pos— / Kitaniji: It IS possible! With these pins. / Neku: The Red Skull pins. You’re behind that, too!? ^ Jupiter. The World Ends with You. Nintendo DS. Square Enix. Neku: Huff...huff... It was you! ...... I thought... I thought I finally found a friend I could relate to... But it was YOU! You killed me! / Joshua: Hee hee. Now, Neku, why don’t we play one last Game? / Neku: You tricked me... / Joshua: The winner gets to be the Composer, and do whatever he likes with Shibuya. If you win, you decide. If I win, I’ll decide. ...Of course, I’ve already decided. ^ Jupiter. The World Ends with You. Nintendo DS. Square Enix. Neku: I can’t forgive you, but I trust you. You took care of things, right? Otherwise, Shibuya would be gone and my world with it. Hey, did I mention I’ve got friends now? We’re meeting for the first time in a week. See you there? ^ Jupiter. The World Ends with You. Nintendo DS. Square Enix. However, [the Composer] has stayed his decision to destroy Shibuya. It seems the course of the Game has brought about a change of heart in the Composer. Yes, Shibuya persists—but it is no longer the same city it was a month ago. [...] Today, Shibuya has shifted into what We Angels believe to be the optimal parallel world. ^ a b c d e f Whitehead, Dan (2008-04-24). "The World Ends With You". Eurogamer. pp. 1–3. Retrieved 2008-06-19. ^ a b c d e f g h Parish, Jeremy (2008-04-17). "The World Ends With You Review". 1UP.com. Archived from the original on 2012-12-05. Retrieved 2009-10-13. ^ den Ouden, Adriaan. "The World Ends With You — Staff Review". RPGamer. Archived from the original on 2012-10-03. Retrieved 2008-08-15. ^ Van Allen, Eric (October 10, 2018). "The World Ends With You's Nintendo Switch remaster matches the platform perfectly". Polygon. Retrieved October 10, 2018. ^ Linde, Aaron (2008-03-16). "More The World Ends With You Shots Arrive". Shacknews. Retrieved 2009-09-28. ^ a b "Creator's Roundtable, Episode 1". Square Enix. 2007. Archived from the original on 2012-02-24. Retrieved 2008-06-18. ^ a b c d e "Creator's Roundtable, Episode 2". Square Enix. 2007. Archived from the original on 2012-02-24. Retrieved 2008-06-18. ^ a b c d e f g h i j k l m Arakawa, Takeshi; Hasegawa, Tomohiro; Kando, Tatsuya (October 2008). "Post-Mortem: The World Ends With You". Game Developer. p. 34. ^ a b c d e f g h i j "Creator's Roundtable, Episode 3". Square Enix. 2007. Archived from the original on 2012-02-24. Retrieved 2008-06-18. ^ a b Kolan, Patrick (2008-02-12). "The World Ends With You – A Square Enix Fable". IGN. pp. 1–2. Retrieved 2008-06-18. ^ Yip, Spencer (2008-03-15). "The World Ends With You versus actual Shibuya". Siliconera. Retrieved 2008-06-19. ^ Square Enix (2008-03-31). "Background Angle Tests". DeviantArt. Retrieved 2008-06-19. ^ a b Nix (2006-09-22). "TGS 2006: It's A Wonderful World". IGN. pp. 1–2. Retrieved 2008-06-18. ^ Square Enix (2008). "Character Design". DeviantArt. Retrieved 2008-04-23. ^ Square Enix (2008). "NPC Design". DeviantArt. Retrieved 2008-04-23. ^ a b c McCarthy, Dave (2008-04-17). "Breaking the Language Barrier". IGN. pp. 1–2. Retrieved 2008-06-18. ^ a b Bozon, Mark (2009-01-22). "IGN: The World Ends WIth You Interview". IGN. Retrieved 2008-05-27. ^ Gantayat, Anoop (2006-09-13). "It's a Wonderful World". IGN. Retrieved 2008-06-18. ^ Hatfield, Daemon (2007-12-05). "It's a Wonderful World Ends with You". IGN. Retrieved 2008-06-18. ^ Geddes, Ryan (2007-12-17). "'World Ends With You' Confirmed For U.S." IGN. Retrieved 2008-06-18. ^ Ishida, Kadzuo (2007-05-31). "Square Enix's DS "The World Ends with You"-DS Lite Bundle is in a New Glossy Silver Color" (in Japanese). Game Watch. Archived from the original on 2012-12-18. Retrieved 2008-08-26. ^ Lada, Jenni (2008-04-15). "Become a Square Enix Member – get The World Ends with You ringtones". Technology Tell. Retrieved 2008-06-19. ^ Reeves, Ben (2010-08-09). "World Ends With You Sequel Could Happen". Game Informer. Retrieved 2010-08-09. ^ "A New End?". Nintendo Power (258). September 2010. ^ Parish, Jeremy (2011-09-15). "TGS: Kingdom Hearts 3D Brings The World Ends With You Into the Family". 1UP.com. Archived from the original on 2012-08-19. Retrieved 2011-09-15. ^ Yip, Spencer (2011-09-14). "Kingdom Hearts 3D Features Characters From The World Ends With You". Siliconera. ^ Phillips, Tom (2011-12-16). "Kingdom Hearts: Dream Drop Distance details". Eurogamer. Retrieved 2011-12-16. ^ Cullen, Johnny (2011-12-17). "Flynn Lives: Tron Legacy makes it into Kingdom Hearts 3DS, March JP launch confirmed". VG247. Retrieved 2011-12-19. ^ Hamilton, Kirk (2012-04-05). "You Don't Have To Sell Me On Your Kickass Soundtrack, The World Ends With You". Kotaku. Retrieved 2017-03-09. ^ a b すばらしきこのせかい オリジナル・サウンドトラック: (in Japanese). Square Enix Music. Retrieved 2008-06-19. ^ RMC (2008-05-03). "The World Ends With You soundtrack hits iTunes". GoNintendo. Retrieved 2008-06-19. ^ Eisenbeis, Richard (2012-04-10). "Jamming to The World Ends With You Remixes in Kingdom Hearts 3D". Kotaku. Retrieved 2012-04-12. ^ Carter, Chris (2015-01-22). "Theatrhythm: Curtain Call gets equipped with World Ends With You and Chrono Trigger DLC". Destructoid. Retrieved 2015-01-22. ^ "The World Ends With You - Crossover". Square Enix. Retrieved 2012-09-03. ^ "すばらしきこのせかい + The World Ends with You" (in Japanese). Square Enix Music. Retrieved 2008-06-19. ^ Sarkar, Samit (2014-06-26). "The World Ends with You: Solo Remix now available on Android for $17.99". Polygon. Retrieved 2014-06-26. ^ Spensor (2013-01-18). "Square Enix Talks About The World Ends With You: Solo Remix's Secret Ending". Siliconera. Retrieved 2018-10-13. ^ a b "The World Ends With You -Solo Remix- - What's New". Square Enix. 2012-08-26. Retrieved 2012-08-26. ^ Yin-Poole, Wesley (2012-08-24). "The World Ends With You coming to iOS later this year". Eurogamer. Retrieved 2012-08-24. ^ Schreier, Jason (2012-08-31). "Surprise Ending of The World Ends With You Remake Teases Sequel". Kotaku. Retrieved 2012-08-31. ^ McWhertor, Michael (2015-02-19). "Square Enix pulls the broken iOS version of The World Ends With You". Polygon. Retrieved 2015-02-19. ^ McWhertor, Michael (2015-06-26). "The World Ends With You returns to iOS after months-long absence". Polygon. Retrieved 2017-03-09. ^ Frank, Allegra (2018-01-11). "The World Ends With You returns remixed on Nintendo Switch". Polygon. Retrieved 2018-01-11. ^ Jenni (August 7, 2018). "The World Ends With You: Final Remix Arrives In The West In October 2018". Siliconera. Retrieved August 7, 2018. ^ Jackson, Gita (October 12, 2018). "The World Ends With You: Final Remix: The Kotaku Review". Kotaku. Retrieved October 13, 2018. ^ "The World Ends with You for DS Reviews". Metacritic. CBS Interactive. Retrieved June 21, 2008. ^ "The World Ends with You: Solo Remix for iPhone/iPad Reviews". Metacritic. CBS Interactive. Retrieved June 21, 2018. ^ "The World Ends with You: Solo Remix for iPad for iPhone/iPad Reviews". Metacritic. CBS Interactive. Retrieved January 19, 2013. ^ "The World Ends with You: Final Remix for Switch Reviews". Metacritic. CBS Interactive. Retrieved November 4, 2018. ^ "Edge Review: The World Ends With You". Edge. 2008-04-21. Archived from the original on 2012-08-20. Retrieved 2008-06-19. ^ "The World Ends With You Review". Electronic Gaming Monthly. May 2008. p. 88. ^ "It's a Wonderful World review". Famitsu (in Japanese). 2007-08-03. ^ "2007's Famitsu Scores Archive". Famitsu Scores Archive. Archived from the original on May 2, 2008. Retrieved 2008-03-31. ^ Juba, Joe (2008). "The World Ends With You". Game Informer. Archived from the original on June 16, 2008. Retrieved 2008-06-19. ^ Damiano, Greg (2008-06-09). "The World Ends With You Review". Game Revolution. Retrieved 2008-06-20. ^ a b c d Ramsay, Randolph (2008-04-22). "The World Ends With You for DS Review". GameSpot. Retrieved 2008-06-19. ^ "The World Ends With You Review". Nintendo Power. May 2008. p. 87. ^ Mastrapa, Gus (2008-04-25). "G4 – X-Play — Reviews — The World Ends With You". G4. Archived from the original on 2008-05-13. Retrieved 2008-04-27. ^ Khaw, Cassandra (August 28, 2012). "'The World Ends With You: Solo Remix' Review – Square Enix's Beloved RPG Transitions Gracefully to iOS". TouchArcade. Retrieved June 21, 2018. ^ a b Hatfield, Daemon (2008-04-30). "IGN: Game of the Month: April 2008". IGN. Retrieved 2008-06-19. ^ Cowan, Danny (2007-07-27). "Saling The World: Guitar Hero Encore Tops Charts in U.S. and UK". Gamasutra. Retrieved 2008-06-18. ^ "Japanese 2007 Top 500 Game Sales (by Famitsu)". News 4 Gamers. 2008-06-13. Archived from the original on 2008-06-18. Retrieved 2008-07-06. ^ Red, Carmine (2008-05-27). "April NPD: Nintendo Unfazed By Competition". Nintendo World Report. Retrieved 2008-06-18. ^ Cowan, Danny (2008-05-15). "Saling The World: GTA IV, Mario Kart Lead US, Luminous Arc 2 Tops Japan". Gamasutra. Retrieved 2008-06-18. ^ Miller, Ross (2008-06-03). "The World Ends With You: new shipment coming mid-June". Joystiq. Archived from the original on 2015-01-28. Retrieved 2008-06-18. ^ Cowan, Danny (2008-04-24). "Saling The World: The World Ends With You, Persona 3 FES Top Sales in U.S. Debut Week". Gamasutra. Retrieved 2008-06-18. ^ Cowan, Danny (2008-05-08). "Saling The World: GTAIV Repeats U.S. and UK Sales Victory". Gamasutra. Retrieved 2008-06-18. ^ Ashcraft, Brian (2008-11-10). "Which Square Enix Games Have Been Selling This Year". Kotaku. Archived from the original on 2012-10-03. Retrieved 2008-11-10. ^ Ng, Amanda (2008-04-22). "Review: The World Ends With You". GamePro. Archived from the original on 2008-04-24. Retrieved 2008-06-19. ^ "The World Ends with You for Nintendo DS - Reviews". G4TV. 2008-04-25. Archived from the original on 2012-07-16. Retrieved 2009-12-24. ^ "The World Ends With You AU Review". IGN AU. 2008-04-16. Retrieved 2009-12-24. ^ "IGN DS: Best RPG 2008". IGN.com. 2008-12-15. Archived from the original on 2008-12-19. Retrieved 2008-12-16. ^ "IGN DS: Best Story 2008". IGN.com. 2008-12-15. Archived from the original on 2013-11-03. Retrieved 2008-12-16. ^ "IGN DS: Best New IP 2008". IGN.com. 2008-12-15. Archived from the original on 2013-11-03. Retrieved 2008-12-16. ^ "IGN DS: DS Game of the Year 2008". IGN.com. 2008-12-15. Archived from the original on 2013-09-28. Retrieved 2008-12-15. ^ "IGN DS: Best Original Score 2008". IGN.com. 2008-12-15. Archived from the original on 2013-11-01. Retrieved 2008-12-16. ^ "IGN DS: Best Artistic Design 2008". IGN.com. 2008-12-15. Archived from the original on 2013-11-01. Retrieved 2008-12-16. ^ "The Best of the Decade". Nintendo Power (252). March 2010. ^ "The World Ends with You: Solo Remix Review - IGN". Uk.ign.com. 2012-08-27. Retrieved 2012-11-07. ^ "The World Ends With You Is Actually A Pretty Good Port". Kotaku.com. 2012-08-27. Retrieved 2012-11-07.